Nobles, S., Dredger, K. & Dixon, M. (2012). Collaboration Beyond the Classroom Walls: Deepening Learning for Students, Preservice Teachers, Teachers, and Professors. 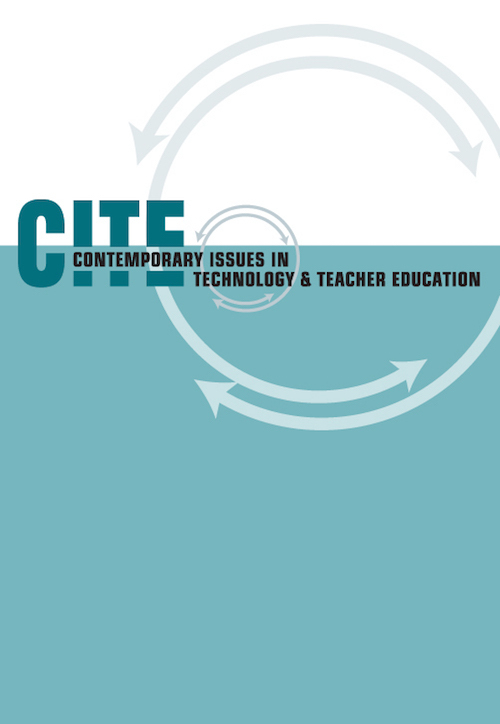 Contemporary Issues in Technology and Teacher Education, 12 (4), 343-354. Waynesville, NC USA: Society for Information Technology & Teacher Education. Retrieved April 21, 2019 from https://www.learntechlib.org/primary/p/39208/. Bartholomae, D. (1995). Inventing the university. In Rose, M. (Ed. ), When writer's can't write: Studies in writer's block and other composing-process problems. New York, NY: The Guilford Press. Bourgeois, M., & Hunt, B. (2011). TEACHING 2.0. Journal of Staff Development, 32(5), 34-37. Brockman, E., Taylor, M., Kreth, M., & Crawford, M.K. (2011).What do professors really say about college writing? English Journal, 100(3), 75-81. Burke, J. (2008). The English teacher’s companion (3rd ed.) Portsmouth, NH: Heinemann. Haas, C. (1994). Learning to read biology: One student's rhetorical development in college. Written Communication, 11(43), 43-83. Kajder, S. B. (2010). Adolescents and digital literacies: Learning alongside our students. Urbana, IL: National Council of Teachers of English. Kist, W. (2005). New literacies in action. New York, NY: Teachers College Press. Knoebel, M., & Lankshear, C. (2007). A new literacies sampler. New York, NY: Lang. Rozema, R. (2008). Literature and the web: Reading and responding with new technologies. Portsmouth, NH: Heinemann. Smagorinsky, P. (2008). Teaching English by design: How to create and carry out instructional units. Portsmouth, NH: Heinemann.